Not everyone is born with great teeth most of the need a little fixing here and there. Some of us are concerned with the damage done by time while others suffer from problems caused by accidents. There is just too much that can go wrong with your teeth. The cause could be either decay or infection and maybe even an unfortunate fall, whatever the cause may be there is always something you can do about it. Modern cosmetic dentistry has made it possible for us to fill gaps between our teeth, fix chipped teeth and even replace those that fell out. Most of us need tooth whitening at some point in time. Our natural tooth color may not be titanium white, but it isn't orange or strong yellow either. Teeth can be easily stained by large consumption of coffee, tea, and vine along with smoking for a long time. You can get rid of these stain through teeth whitening and bleaching. You can make your choice based on your needs. You no longer have to make do with the gray and discolored fillings between your teeth as these days dentists can match the color of the resin to your teeth. The composite resin is available in a variety of shades so that your teeth do not lose their natural look as you restore their function. When the color and shape of your tooth are not restorable with other measures, you can hunt for crowns or veneers. They cover the affected area and fix into place with strong adhesive. Veneers can even be used to get rid of gaps between your teeth and to fix a broken or chipped tooth. The color is selected based on what you need, and the design is sculpted based on the shape of your tooth. Nothing lasts forever, but sometimes you lose your teeth before you are supposed to. It is not uncommon to have a tooth pulled out because it was causing problems, but you do not have to live with the gap that it leaves behind. There are various forms of dental implants, and their prices can be different based on their materials. These can be the "fixed" type, or you can opt for removable ones. Whatever you choose, talk to your dentist to know your options to be sure that everything fits in your budget. Keep in mind that every treatment has a different price. There are numerous ways through which you can restore your smile to its original beauty and sculpt it to a look the way that makes you feel happy. Consult your dentists and see what options apply to you. Consider looking for discounts or relying on your insurance policy as much as possible because some of these options can be expensive. Most importantly, do not skip your regular checkups twice a year to prevent small issues from becoming significant. 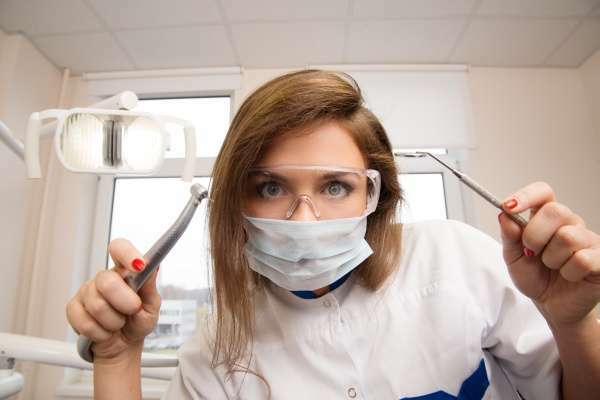 Request a dental check-up here: https://premierdentalcareutah.com or call Premier Dental Care Of Utah at (801) 316-6577 for an appointment in our West Valley City dental office.